Merry Christmas! 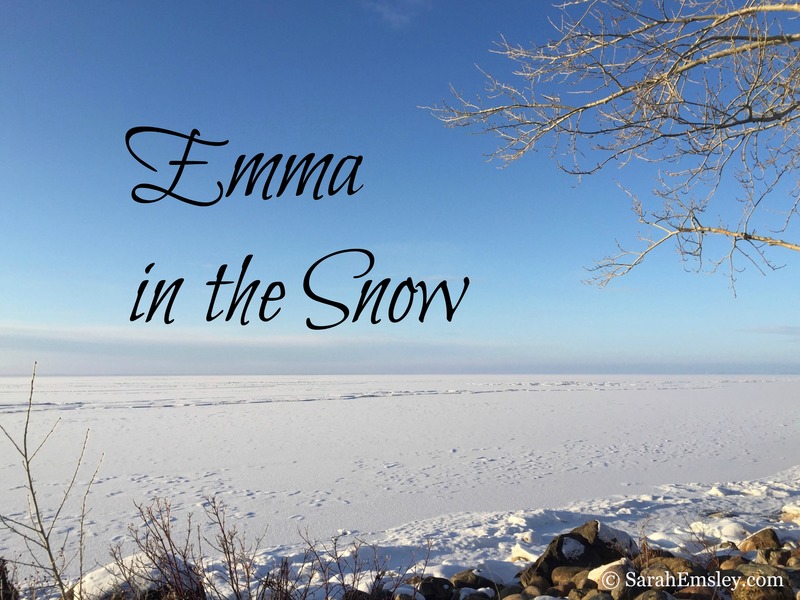 Welcome to the second guest post in my Emma in the Snow series. I’m delighted to share with you Theresa Kenney’s survey of Christmas celebrations in Jane Austen’s time and her discussion of Christmas themes in Emma. ’Twas Christmas told the merriest tale. Can neither Love, nor sufferings bind? Are we all stone, and earth? Nor one day bless His birth? Must not be numbered in the year. Emma, however, probably would have eaten many of the same foods and enjoyed many of the same festive customs her forbears had known. Many time-honored Christmas customs still prevailed in English homes in the late eighteenth and early nineteenth century. The house probably would have been decorated with the traditional greenery Lewis mentions—rosemary and bay, as well as holly and ivy—although Emma would very likely not have had a Christmas tree. Because the John Knightleys are visiting with their children, however, a tree is nonetheless a remote possibility: these had already been introduced into England by Queen Charlotte, and Coleridge commented on those he saw in his European tour. Alison Barnes notes the spread of Christmas trees to many of the upper class families of England in the early 1800’s, especially those with children in the household. But Mr. Woodhouse, of course, would never have permitted a tree with candles and paper ornaments near his boisterous grandchildren! Sir Walter Scott refers to Yule logs, festive greenery, singing, and mumming as part of Christmas celebrations of old, in a passage Jane Austen would have read in Marmion (her famous comment about “dull elves” is an emended quotation from this work). Would Austen and her Emma have had Yule logs? Although they were probably brought in with less ceremony than of yore, and their lighting and extinction attended by fewer superstitious speculations about good fortune and deaths in the new year, the Yule log certainly appeared in the form of spectacular Christmas fires, a detail Austen notes especially when referring to Christmases in the novels: at the Box Hill picnic, Mrs. Elton speaks of stories being told by the fireside at Christmas; in Volume 2, Chapter 2 of Persuasion, Austen speaks of the “roaring Christmas fire” at the Musgroves’, where we also find the girls cutting up gold paper and silk and the boys holding “high revel” as the table “bends under the weight” of brawn and pies. Like the Musgroves, Mr. Woodhouse is a host in the old style, however much he warns his guests against eating the food he provides. His Christmas tables would have been generous affairs, and Mr. Elton’s drunkenness assures us that “Mr. Weston’s good wine” had flowed liberally at Randalls, emboldening the curate to bestow upon Emma the unfortunate Christmas gift of a Dreadful Proposal in the carriage on the way home. Emma probably would have drunk spiced wine herself, and eaten meat and mince pies (condemned by special provision by the Puritan government but reintroduced after the Restoration). Austen’s brother Edward’s family enjoyed a Twelfth Night celebration in 1809, so it is safe to assume the feasting at Randalls and Hartfield lasted the full twelve days of Christmas, even if John and Isabella left as soon as the roads were passable. The crèche scene so universally known nowadays had not been a normal part of English Christmas decorations even before the Reformation (in fact, the figure of Baby Jesus, if present at all, was usually molded of bread and occupied the top of the mince pie, which before Cromwell’s reign, was shaped like a manger bed. Baby Jesus never came back, even after the Restoration). Emma would not set up a stable with figures of the Holy Family and shepherds. Nor would she set candles in the windows, an Irish custom, and no doubt she would never have heard of luminarias, poinsettias, or las posadas. … after Dessert Aunt Louisa who was the only person to know the characters … took one by one out of the room and equipped them, put them into separate rooms and lastly dressed herself. We were all conducted into the library and performed our different parts. Papa and the little ones from Lizzy downwards knew nothing of it and it was so well managed that none of the characters knew one another … Aunt Louisa and L. Deeds were Dominos; F. Cage, Frederica Flirt (which she did excellently); M. Deeds, Orange Woman; Mama, Shepherdess; Self Fortune Teller; Edward, beau; G, Irish Postboy; Henry Watchman; William, Harlequin; we had such frightful masks that it was enough to kill one with laughing at putting them on and altogether it went off very well and quite answered our expectations. There is clearly something unseasonable about the games Frank proposes in the height of the summer heat, and as a displaced lord of misrule he encourages the atmosphere that leads to Emma’s greatest trespass in the novel, which is a casual and cruel reinforcement of social status, the opposite of the social reversals known to accompany Christmas games under the auspices of the rulers themselves. We would not expect to look for wisdom in Mrs. Elton, but she seems to be right, that the safe and convivial fireside of Christmastime somehow would make game playing a more secure and amicable activity than it is in midsummer on Box Hill. 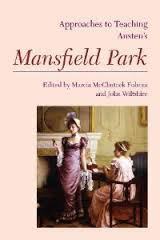 Austen may even be thinking of Christmas games when in the June after the first Christmas, Frank, Emma, Harriet, and Jane play the alphabet game left behind from the children’s visit. Austen records that Frank says it is “a dull looking evening, that ought to be treated rather as winter than summer” (Volume 3, Chapter 5). Even Christmas activities at Christmastime seem fraught with danger in Emma, as Emma’s subjection to Mr. Elton’s drunken proposal makes clear. Does Austen’s attitude toward the feast align with Mrs. Elton’s, since the playing of games of wit, charades, and puzzles are deployed throughout Emma as deceptions and underhanded mockeries of others? There is a distrust of parties and sport and game that certainly bespeaks the opposite of the merry old England Sir Walter Scott celebrates, and that aligns Emma’s creator with the severity of a Fanny Price and an Edmund Bertram when it comes to acting and playing parts. Does Emma even care about Christmas celebrations? She does not lament being forced to stay home from church; the reader must also acknowledge that if John Knightley’s advice had been followed, they never would have gone to Randalls that night and Emma would not have been offended by Mr. Elton; if no one had played any games, Jane and Miss Bates might not have had their feelings hurt and their dignity offended. As Emma sums up in reflecting upon the past in her embarrassed first visit to the parsonage after Mrs. Elton’s arrival: “A thousand vexatious thoughts would recur. Compliments, charades, and horrible blunders” (Volume 2, Chapter 14). But one thing is sure: after their October wedding and trip to the sea, the next Christmas will see Mr. and Mrs. Knightley ensconced by their first Christmas fire as a couple, at Hartfield. The very hearth from which Mr. Knightley fled the night he confronted Emma over the taunting of Jane in the letterbox game, that “fire which Mr. Woodhouse’s tender habits required almost every evening throughout the year,” will replace with its festive, familial warmth “the coolness and solitude of Donwell Abbey” (Volume 3, Chapter 5). Austen, Jane. Emma. 3rd edition. Ed. R. W. Chapman. London: OUP, 1933. —. Emma: An Annotated Edition. Ed. Bharat Tandon. Cambridge, MA: Belknap Press, 2012. Glasse, Hannah. The Art of Cookery Made Plain and Easy. W. Strahan, 1784. Hampson, RT. Medii Aevi Calendarium or Dates, Charters, and Customs of the Middle Ages, with Kalendars from the Tenth to the Fifteenth Century. London: H.K. Causton and Son, 1841. Johnson, Kevin Orlin. Why Do Catholics Do That? New York: Random House, 1994. Knight, Fanny. Letter 1809 CKS U951 C107/2. Fanny Knight’s diaries are deposited in the Centre for Kentish Studies (CKS), Maidstone, and all rights belong to the Knatchbull Family Archives. Lewis, Thomas. English Presbyterian Eloquence. London: T. Bickerton, 1720. Scott, Sir Walter. Marmion: A Tale of Flodden Field. Edinburgh: Archibald Constable and Company, 1808. Timbs, John. Something for Everybody (And a Garland for the Year). London: Lockwood and Co., 1861. Vaughan. Henry. Silex Scintillans: or Sacred Poems and Private Ejaculations. London: Blackie and Son, 1650. Second in a series of blog posts celebrating 200 years of Jane Austen’s Emma. To read more about all the posts in the series, visit Emma in the Snow. 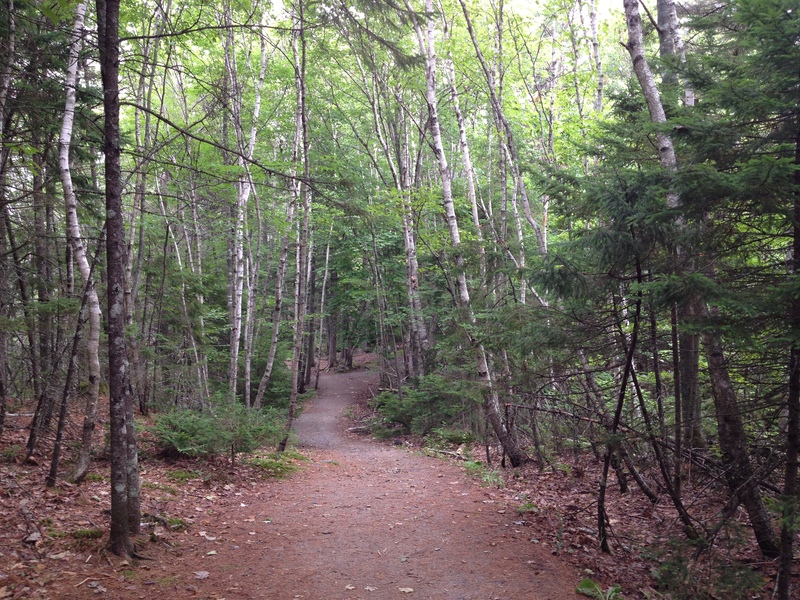 Coming soon: guest posts by Dan Macey, Emily Midorikawa, Emma Claire Sweeney, and Deborah Knuth Klenck. Very interesting and informative post. Thak you. I’m so glad you enjoyed it, Jackie. Thanks for reading! Merry Christmas to you Sarah – and also to Theresa with thanks for this very interesting post on Emma and Christmas! Thanks and Merry Christmas to you as well, Deb! I’m happy to hear you’re enjoying the series, Jasie. Thanks for celebrating with us! Jasie, it’s good to hear from you here! I hope you are enjoying both Austen and Christmas! Delightful and insightful. The association of potentially dangerous games with Edmund’s disapproval of private theatricals in MP is particularly interesting. It’s all right to recite from Shakespeare or to go to the theatre and enjoy a good performance, but a home production might encourage people to go beyond the bounds of propriety, make fools of themselves, and hurt others. Mr Woodhouse’s grandchildren play with the alphabets, an apparently harmless pastime that, insensitively handled by Frank Churchill and Emma, causes Jane Fairfax much distress. Similarly, the Christmas games he proposes at Box Hill provide amusement for both of them at the expense of Miss Bates’s and Jane’s suffering and Mr Knightley’s disapproval. The charades, which Emma sees as an opportunity for Mr Elton to express his admiration for and attachment to Harriet, lead to misunderstanding, disappointment, and heartbreak. “Straightforward, open-hearted … rational, unaffected” people think “strongly and clearly,” and “naturally find proper words.” They don’t play games, overact, or “study for compliments.” Hence, I think, JA’s distrust. It’s tempting to imagine Christmas at Steventon, with fireside entertainment, plays being enacted, and a lot of flirting going on, James and Henry vying for cousin Eliza’s attention … Someone’s feelings might have been injured. The idea of “a cruel reinforcement of social status” as the greatest transgression in the novel, with Frank Churchill as a “displaced lord of misrule” is absolutely brilliant. Thank you for the post and season’s greetings to you all! Happy holidays to you as well! I agree that it’s tempting to imagine what Christmas was like at Steventon…. Glad you enjoyed Theresa’s post. What a great analysis — and I like the suggestions that Austen might have witnessed hurt feelings in games at Steventon.We all know how feelings get wounded in families, and with Eliza as a romantic interest of two brothers, the possibilities are there. I think it’s interesting that Mr. Knightley, Captain Wentworth, and Anne Elliot all avoid games. Really enjoyed learning about Christmas traditions in Austen’s time and before! And it’s really interesting how you tied dangerous games to Christmas–it really highlights how this novel is about the lurking dangers and discomforts of everyday life. That’s a great way of putting it — danger and discomfort in ordinary life. Glad you enjoyed Theresa’s post!